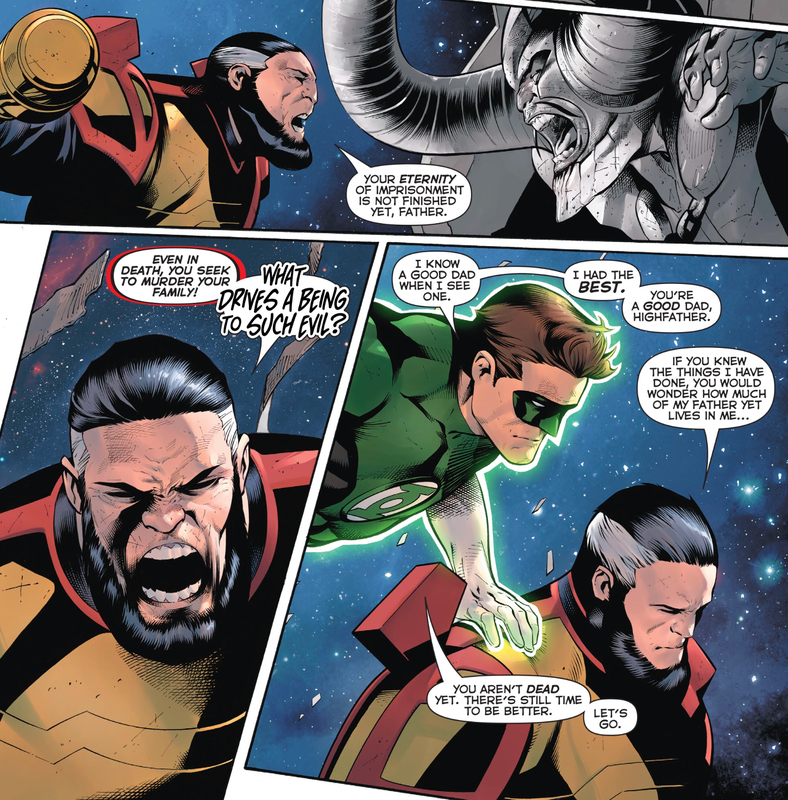 Robert Venditti and Rafa Sandoval have been weaving a story about fathers and sons during the “Fall of the Gods” arc, and while they still deliver an issue with the interesting character moments, deft balancing of Lantern personalities, and exciting action they have become known for, the narrative threads fail to fully come together in Hal Jordan and the Green Lantern Corps 29. I’m surprised at the limited role Highfather has this issue. While it’s neat to see John Stewart take out the charging golem with a sniper rifle construction, the moment robs Highfather of any role in the battle. Why have Highfather tag along at all? Yes, he gets a moment to confront his own father, Yuga Khan, fossilized at the Source Wall, but I guess overall I’m left wondering what, if anything, Venditti has to say about that relationship. Clearly Highfather wants to be a good dad to his son, a better father than the one he had, but it doesn’t connect to anything else in the issue or anything else in the arc. There’s no connection between Highfather, Orion, Yuga Khan, Hal Jordan, Martin Jordan, or any of the other Green Lanterns, and that feels like a huge missed opportunity. I can see what Venditti was trying to do here with the various stories of fathers and sons throughout this arc, but I’d agree that it never quite came together. I’m also not sure what originally happened when Hal took down the first golem — did he KNOW attacking its core would kill it, or was it just a lucky shot? 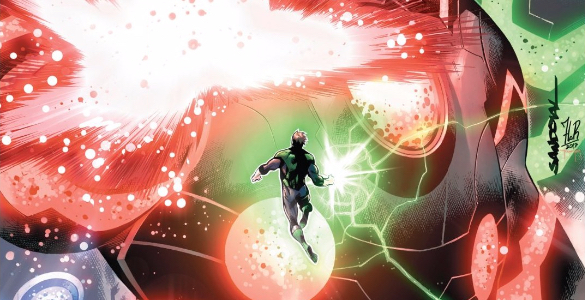 I honestly thought at first that it was the omega beam that Hal redirected into it that destroyed the monster, which makes a lot more sense to me. That said, I had a lot of fun with this issue anyway. Just getting to see the Lanterns out there doing what they do best is always a ton of fun, and the colors in this issue were stunning, especially the power coming from the golems, which feels like it’s from an entirely different book. It’s a great effect that really adds to their otherworldly feeling.